The man should love all the creatures of the universe selflessly because selfish love is like a raw thread. So far as your thoughts coincide your love remains intact but as soon as your thoughts begin to diversify, then the love evaporates in a moment. 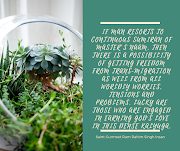 Therefore if a man wants to gain the grace of the master then he should profess love with every living being says the Respected Saint Gurmeet Ram Rahim Singh Ji Insan. Respected Guru Ji says further that the Master exists in each and every speck and grain of the world. In order to make the Master as your own one has to first become his own. The sermons-discourses of saints-Peer-Faquirs have to be followed practically for making the Master as your own. Sat sang has to listen for action. Recitation of Gurumantra has to be carried out regularly by sumrin of Naam Shabad. Respected Guru Ji says that trust is established in one’s mind by the recitation of Naam Shabad. A sense of detachment is generated resulting in purification of the soul to be worthy of graces of the Master. No ostentatious behavior is justified in the path of spiritualism. Dhanna Bhagat made the Master eat something then the Master was not pleased by the meal but by viewing his internal yearnings, pangs and restlessness he was pleased to reveal himself in front of him. That devotee who has a real attachment with God does not bother about his loss or benefit. 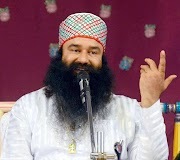 As per the statement of Beparwah Mastana Ji Maharaj, it is not a shop of a shop keeper where profits and losses are watched. If you have begun to walk over the path of love of God please go on incessantly. Just as a mother can not bear the pains of her child then will the Master keep silent while watching you in trouble? Never. Many persons have written that whosoever trod the path of love of the Master suffered a lot. But such persons are worshipped and saluted them till date while others are conveniently forgotten. His Holiness Baba Ram Rahim Ji says that Master is after all the Master. He never does anything wrong. The thoughts of a person can be wrong. He under the spell of tension can blame the Master for his misfortune. Still, it is nothing serious because if you will say something to anybody else then he would react wrong but the Master will reply with love. It is simply a trifle of love-fight because Dhanna Bhagat had also issued a lot of taunts. That Master grants his grace to those who deserve it. Just as there is a saying that if excess grams are filled in a pitcher then those will burst it open. Satguru does not want that your pitcher may burst. Therefore he puts only that much grams in your pitcher so that it may contain them safely, means that God pays his vision corresponding to the sumrin earned by the body. When your body will mature fully to contain the impact of Vision, then the Master will reveal himself clearly in Glowing shape to you. Still, vision is a great boon in this period of Kalyuga and you are still lucky to have it in any category. 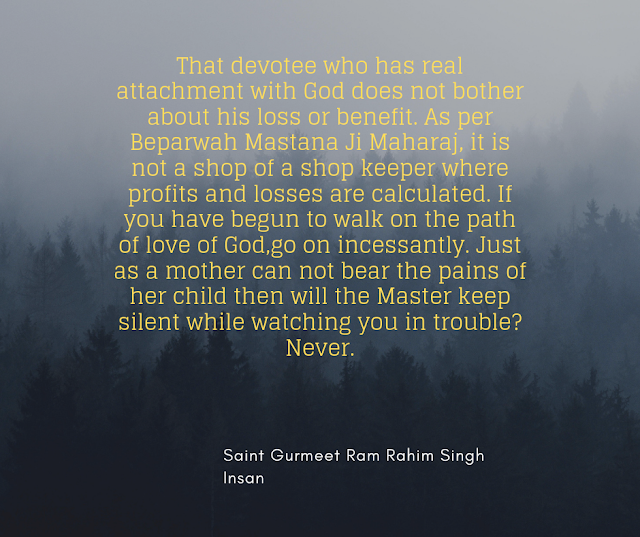 Respected Baba Ram Rahim Ji says about respected Parampita Shah Satnam Singh Ji Maharaj that the kindness of Satguru is beyond description-listening. Citing an episode of Mahabharata period His Holiness said that Sishupal was Krishna’s father’s sister’s son. He was very ugly since birth. As soon he took birth the female attendant cried out indigently. They all said to the queen that she had given birth to a savage. He had three eyes and enormous body. This made even the mother of the child weep inconsolably. Then a celestial announcement was heard that his ugliness will not last long but the same person will kill him in whose lap these extra limbs will fall. The queen handed over the child to everyone, but nothing happened. When Krishna Ji reached there along with his brother Balram Ji, then Balram Ji took the child in his lap first, but nothing happened. As soon as Krishan Ji lifted the child he became quite alright. 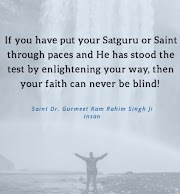 Respected Guru Baba Ram Rahim Singh Ji says further that one should wear humility- meekness but must not consider the kindness greatness of Satguru, Master as the weakness of Allah, Waheguru or Ram. Master does not fear from anyone and is fearless. The one who loves-adorns the Master also become fearless. Hence adopt humility-politeness and shun pride. Keep away from such persons who seem to harm your interest. Remain firm on humility- meekness in face of abuse or condemnation. Master will reward your patience with supreme bliss and none will encourage the bitter talker.